I really, really do wish you all a Merry Christmas. 🎅 Every year they dress me up. 👀 Do they HAVE to embarrass me like this? 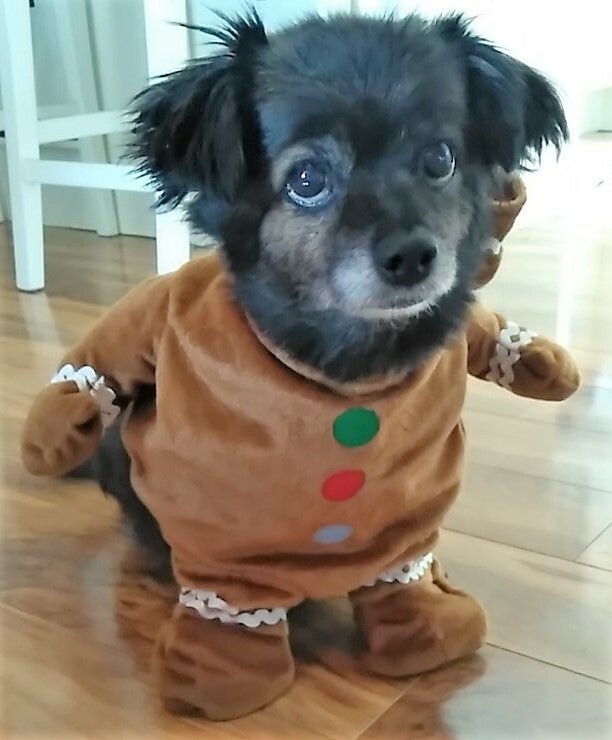 🤢 I mean to say, who in their right mind turns their dog into a gingerbread cookie? 🤣 And what’s more, they think it’s funny. I just let them get on with it. It’s no good making a fuss. 😵 They won’t give up till it’s done. Like this year. First they bought me one so big it would fit a horse. How big do they think I am? 🐾 I am dainty, petite, a princess. 🤥 🤥 First it took two of them forever to work out how to put it on. They only went and bought a smaller one! Seriously ?!!! Yep. They did. 💖 I know they love me. Lots. So I tolerate it. And after all that’s what Christmas is all about. let it bring you peace, joy and bucketloads of love. Bless his ,or her, heart. I feel your pain and some humans just don’t understand . lol Cute! *woof* – Thank you ! Happy Christmas, Tessa – glad you have taught your human to take dictation! Blessings on the whole family.